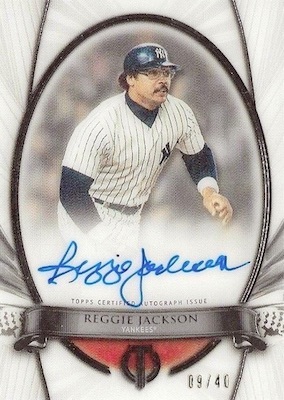 Returning with another updated appearance, 2018 Topps Tribute Baseball adds more premium options to the hobby-only release. 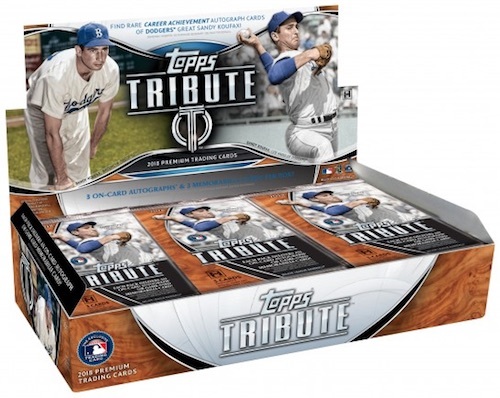 Every 2018 Topps Tribute Baseball box guarantees three memorabilia cards and three autographed cards. Averaging two per pack, the newly designed base set highlights veterans and retired stars with a wood frame. Naturally featuring top RC choices, the 2018 Rookies insert falls two per case. Parallels for the base and rookies include numbered Green (#/99), Purple (#/50), Red (#/10) and Black (1/1). 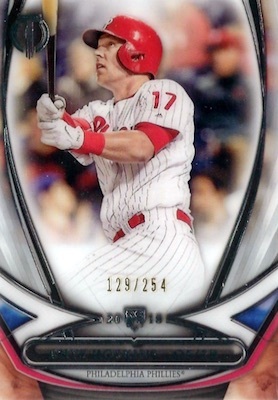 When it comes to the hits, 2018 Topps Tribute Baseball brings familiar subsets while adding plenty of new options to chase. 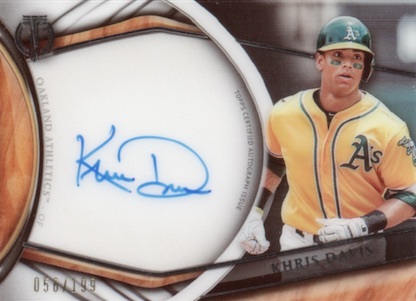 A staple of the high-end product, the Tribute Autographs line features signatures on a horizontal design with Green (#/99), Purple (#/50), Orange (#/25), Red (#/10), Black (1/1) and Printing Plate (1/1) editions. While the Tribute to the Moment Autographs continuity was the lone 2017 Topps Tribute case hit, the 2018 release also delivers Generations of Excellence Autographs at one per case. Both signed sets offer Orange (#/25), Red (#/10) and Black (1/1) parallels. Also returning are the Tribute Tandems Autograph Book cards, which combine players who have a special commonality. Additionally, 2018 Topps Tribute Baseball marks the debut for a few hard-signed options, including Iconic Perspectives Autographs (#/99 or less) with multi-layered design, and League Inauguration Autograph cards that highlight top talent from the 2018 rookie class. Parallels for both subsets include Orange (#/25), Red (#/10) and Black (1/1). Meanwhile, the one-of-one Tribute Career Achievement Award focuses on the iconic career of Sandy Koufax with on-card signatures. Although last, these certainly are not least as each of the relic options are guaranteed in every 2018 Topps Tribute Baseball hobby box. Once again, Stamp of Approval offers game-used memorabilia pieces that have been MLB Authenticated. 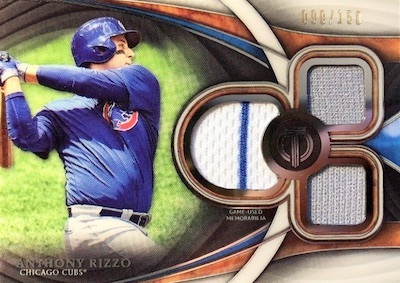 More game-used gear is found in Dual Relics insert, which delivers two pieces from either a single player or a combination of two subjects. A debut release that comes in every box, the Tribute Triple Relics set showcases three game-used pieces on one card. Green (#'d), Purple (#/50), Orange (#/25) and White (1/1) parallels provide more rarity for each subject. 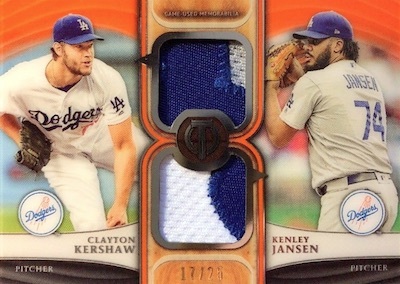 Finally, Autograph Patch cards include an MLB Authenticated relic, while Prime Patch Autograph Relic cards combine a jumbo multi-colored patch with an on-card autograph for a one-of-one hit. 2018 Topps Tribute Autograph David Price Auto 110 RED SOX HOF? Shop 2018 Topps Tribute Baseball autographs on eBay. PARALLEL CARDS: Green #/99, Purple #/50, Red #/10, Black 1/1. 10 cards. 2 per case. Serial numbered #/254. 84 cards. Serial numbered #/199 or less. PARALLEL CARDS: Blue #/150 or less, Green #/99 or less, Purple #/50 or less, Orange #/25 or less, Red #/10, Black 1/1, Printing Plates 1/1. 16 cards. Serial numbered #/150. PARALLEL CARDS: Green #/99, Purple #/50, Orange #/25, White 1/1. 24 cards. Serial numbered #/150. 39 cards. Serial numbered #/150. 40 cards. 1 per case. Serial numbered #/65 or less. PARALLEL CARDS: Orange #/25 or less, Red #/10, Black 1/1. 35 cards. Serial numbered #/99 or less. 9 cards. Serial numbered #/75 or less. 37 cards. Serial numbered #/150. 22 cards. 1 per case. Serial numbered #/99 or less. PARALLEL CARDS: Purple #/50 or less, Orange #/25, Red #/10, Black 1/1. View the 2018 Topps Tribute baseball checklist spreadsheet. Good: Card designs are fantastic; quality look and feel throughout; all hits numbered; big hit potential. Bad: Very steep price for box output; most box-hit relics continue to come across as filler; huge signers list contains too many low-value options. The Bottom Line: If you are willing to take the $300 gamble on a box of cards, 2018 Topps Tribute Baseball can deliver handsomely. However, the more likely result is an uneven box that doesn't come close to matching the cost. Since the cards do look very nice, singles can be the much better path for most. I tend to enjoy the Tribute design most years and that is also the case in 2018. Even the base cards present well, and I like the contrast from 2017. The wood-colored frame is not what I would have expected, but it works. Mostly. Headlined by on-card signatures and very thick card stock, the autographs look great. I particularly enjoyed the multi-layered Iconic Perspectives and Generations of Excellence cards. 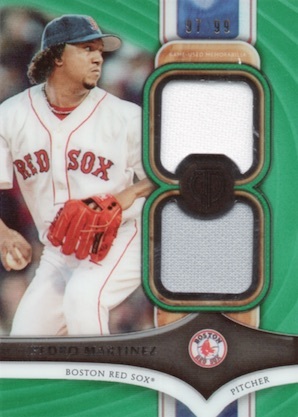 Although you at least get three different relic styles per box, the memorabilia side of 2018 Topps Tribute Baseball is hurt by the many small, one-color swatches. The cards themselves look fine but I do wonder how much the box price changes if you remove all relics other than the MLB Authenticated options. With print runs of 199 or less (plus multiple parallel levels), the main autograph set in the 2018 Topps Tribute Baseball checklist is massive at 84 cards. While this is a little misleading considering that several players have two different cards in the lineup, there are still multiple weak links and that is doubled in several cases. However, top-end talent is waiting, if you are lucky. Shohei Ohtani may be a redemption, but his rookie autograph is a key option even though it seems he only has parallels and no base version. Jeter is another big signer along with Aaron Judge, Mike Trout and Sandy Koufax. Just remember that this is a set with very high highs and very low lows. For every autograph card that sells for hundreds or even thousands, there are tons going for just a few dollars. 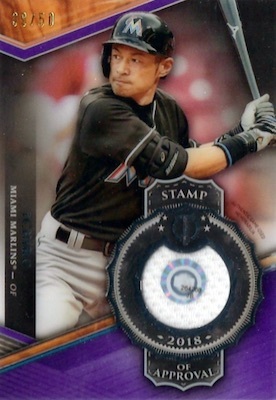 Although they are somewhat old news now, I still appreciate the MLB Authenticated cards. The lack of rarity for these hurts the appeal as far as value, but the background info is very cool and getting one per box is nice. Perhaps one of these should be the only relic per box. That leads us to value, which is where Tribute has the most trouble. The checklist is simply not strong enough for a $300 box (at the time of this review) when three hits are likely to be relics that yield just a few dollars. That means you need $50+ from every autograph to even come close to what you paid. While possible, based on our results and looking at other breaks, this is hard to count on. 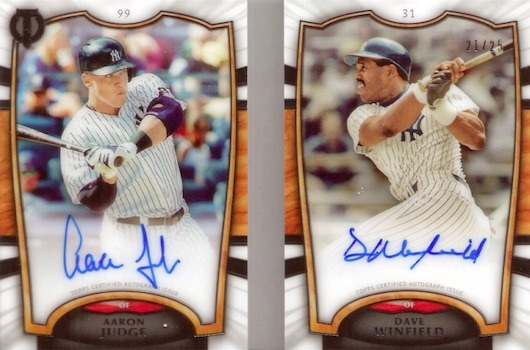 If you don't focus on the cost of the box, 2018 Topps Tribute Baseball contains impressive cards with three on-card autographs. This is a good formula. 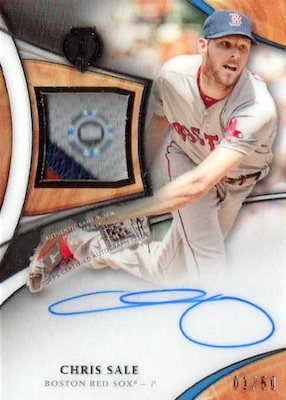 The game-used relic pieces are a little boring at this price but I do really like the authenticated cards. Design goes a long way for me in regards to fun and Tribute checks many of my own personal preferences. 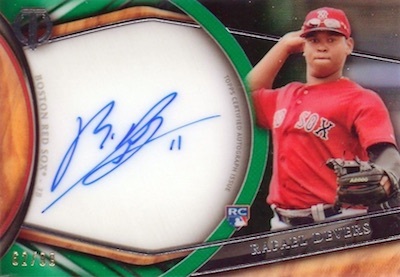 2018 Topps Tribute Autograph Rafael Devers Orange BGS 9 10!! #21 25! Did they get rid of the milestone relics? Not sure yet. It wasn’t on the sell sheet this time, though. Any word on a when we’ll see a checklist for this? Normal Topps pattern for checklists is one week before release. No Madison Bumgarner?!!! I’m a Yankee fan and could easily have done without Dellin Betances for this release. Haven’t liked this set recently. 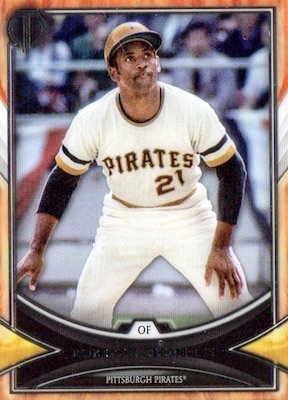 I miss the silver foil look the cards had. Same underwhelming topps product, when will you people learn..?? some sites want 350 a box. For what? 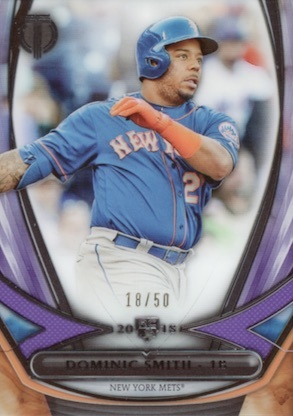 Well, at least Topps decided to not make this product Yankees, Red Sox, and Dodgers heavy like their other products, theres even distribution of hits per team………oh, wait, hahaha…. Its still more of the same stale, lazy, and unoriginal thought process from Topps. Thanks guys, cant wait to chase the Sano/Winfield Berrios, Carew autos. While other teams have almost 8-10xs the number of hits. You guys are doing a bang up job over there! If I could give this less than 1 Star I would. Just no value for a $300 a box product. 6 hits 3 of which are jersey cards usually single color with no patches. So lets say you average $10 a piece in value on those, that’s being generous. You are left with 3 autographs at a cost of $90 per card for names like Danny Duffy, Franklin Baretto, yes each case of 6 boxes usually produces 2 to 3 bigger names. Glaringly missing from the autographs is Bryce Harper. Don’t be fooled by the checklist. lots of big names that you rarely see. Sean Newcomb 1 per case almost every time. Just more junk from Topps. Sorry pooped the bed on this one. Pulled a Michael Conforto Orange auto but it is #’d to 23 not 25 as in your checklist. Otherwise great looking cards. Good mix of stars auto’s and relics. I do not understand how these checklist are put together. They’d been better off skipping a year. Checklist is lacking horribly. How does this differ in anyway from Musuem Collection? The base is almost identical to TTT. $400 for a product that has a selling point of single color relics. 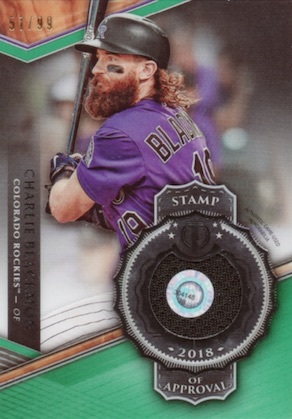 Stamp of Approval is just Topps saying “Hey Collectors we can prove our jerseys are real. Screw you panini we got receipts”. At the end of the day it’s a single color relics with a sticker. Also this should’ve been released in 2017 considering the only difference is the handful of rookies included in the product. Stanton, Ichiro, and Ozuna somehow are all still in Marlins jerseys. Super weak effort from Topps. This is the first case I have ever bought. Hate to say I am somewhat disappointed. Don’t get me wrong, I don’t expect a 1/1 Koufax or anything like that. But there needs to be a little inherent value in a case. 50% seems reasonable. I got three Aroldis Chapman relic cards, along with three Dustin Fowler auto’s. Case hits were a John Smoltz Generations of Excellence auto and an Amed Rosario Tribute to the Moment auto but that card came out of the pack heavily damaged on the upper left corner. The card is junk. 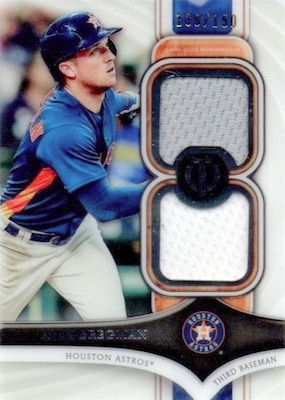 As for value, looks like a Mike Trout Triple Relic #’d to 50 is the biggest hit for me in the case. Gave it 2 stars because I like the design. I almost gave it 1 star, but the cards are cool and the base cards sell well. So much junk in this for the price, boxes will be $200 or less soon. I watched 3 cases opened and I saw 7-8 patches, that is sad. Best card I saw in 3 cases was either the David Ortiz Iconic Perspectives Auto /10 or the Chipper Jones shadowbox auto /25. That is extremely sad!!!! 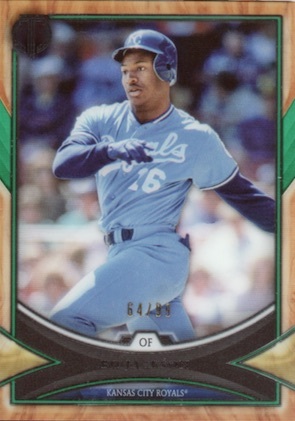 Topps missed badly on this one. Bought a pack and it had no hit in it nor redemption, just two base cards. Topps said they can’t do anything about it since I didn’t buy a full box. Watched a case break today, won’t say who broke but it’s on YouTube, and they also had packs without hits. Something is incredibly rotten with this product. Bo Jackson Generations of Excellence auto 1/30!! Overall trash hits for the price point. Lots of junk autos and relics. Overall look is good, but I will pass on any more of this product. got my first two of 4 boxes today, first the base cards are very nice and cheap to buy if you wish to complete the set(which i will do) so lets get to the hits first i pulled an Sandy Koufax base purple #25 of 50, a Rhys Hoskins and Nick Willams rookies #/254. My Tribute Autos were Derek Fisher #/199, Noah Syndergaard #/110, blue Christian Arroyo #/150, and a green Clint Frazier #/99, a Andrew Benintendi auto patch redemption, an Andrew Benintendi duel relic #/150, an Alex Bergman duel relic green #/99, and a duel relic combo green Kris Bryant/Bryce Harper #/99, triple relic of Griffey Jr. #/150, triple relic orange Corey Seager #/25, a stamp of approval of Andrew Benintendi #/150 and a Stamp of approval green Cody Bellinger #/99, and a iconic perspective auto of Aaron Judge #/99. Did I make my money back on the two boxes? no, am I whining no. Are the boxes overpriced? Maybe, I bought these two for $298.99 a piece, and my next two for $274 a piece. If you are in this expecting to pull that 1/1 your better off going to the Casino (at least the drinks are free) Me, I’ve been collecting cards since 1972, sure I sell a few from time to time, but for me its more for the pleasure of it.